The photosensitive material is formed of a multitude of silver halide crystals, suspended in gelatin, without which we would not be able to record a latent image and amplify it accordingly in the reduction of the material. 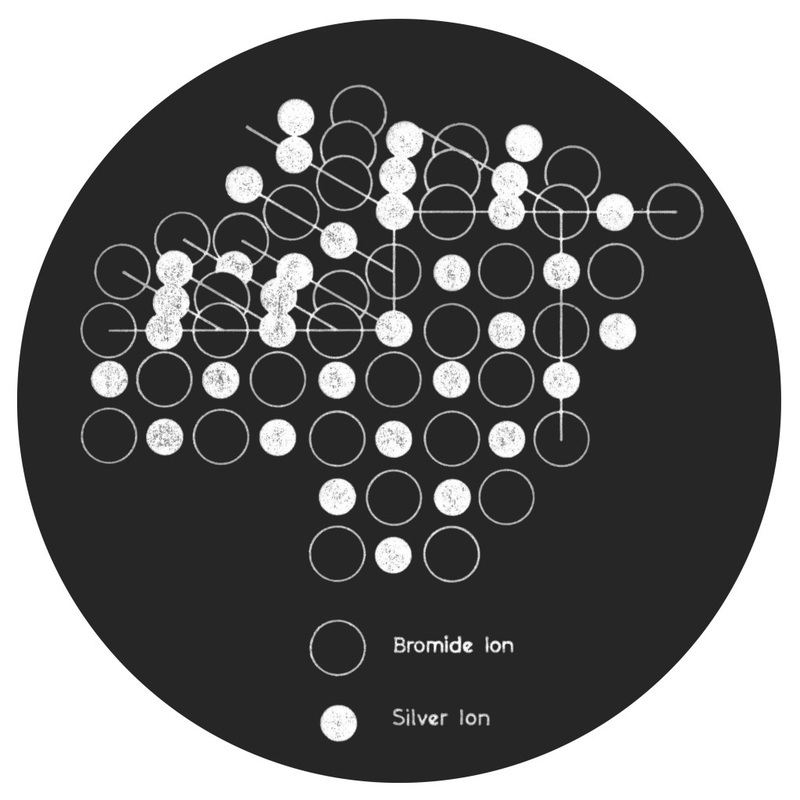 These crystals are produced by the electrovalent bonding of silver ions and halogen cations (e.g. bromide, chloride, iodide, etc.) wherein the ions sequentially architect themselves into an electrically neutral, cubic lattice structure.